Solve visually beautiful sudokus with scrumptious pieces of sushi. Fun for beginners and experts alike. Jigsaw and regular sudokus in sizes from 6×6 to 9×9, with more than 600 different shapes. Difficulty levels from easy to hard. 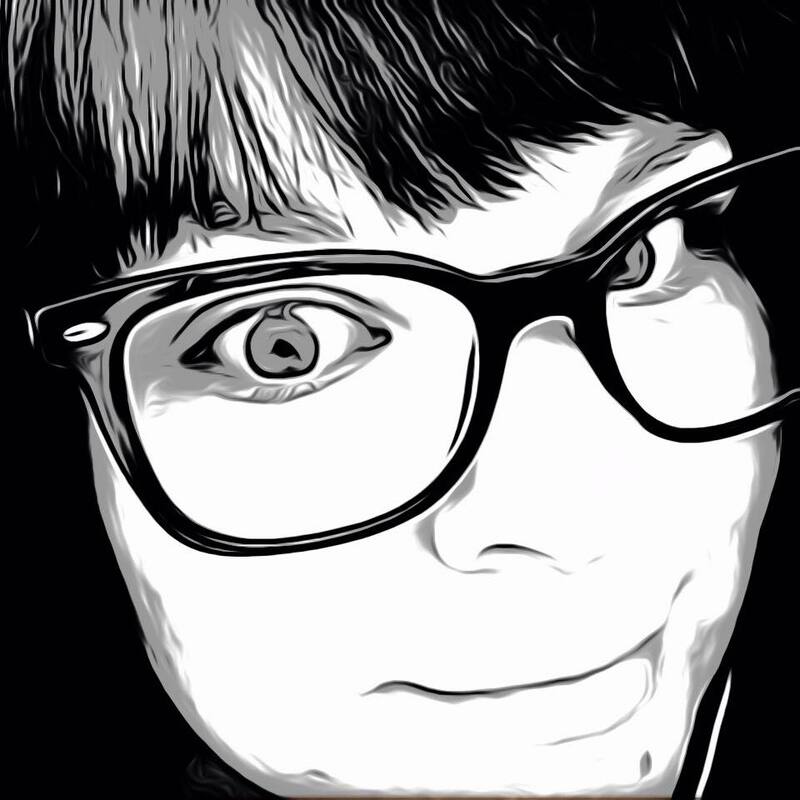 Over 4,000 unique and original puzzles to choose from. CAUTION! You may experience feelings of hunger while playing Sushidoku. 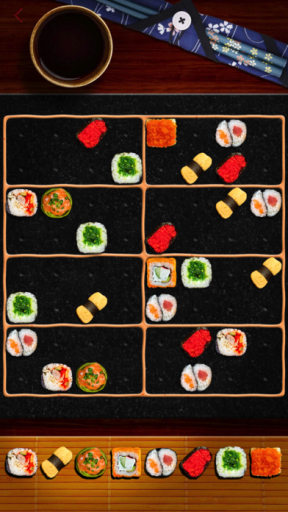 Sushidoku is a new, unique way to play the classic game with none other than pieces of sushi. Rather than numbers, visually appealing sushi pieces ranging from rolls to sashimi are used to fill the puzzle pieces. Not only must the spaces be filled where vertical and horizontal pieces cannot cross paths, but the marked areas must also not contain the same sushi more than once. This creates a challenge real puzzle junkies will love. Puzzles start with easy 5×5 dimensions and go up to medium and hard 9×9 layouts to accommodate any player level. The Sample pack includes 15 puzzles and comes free with the app. Each additional puzzle pack can be purchased for $0.99 with each pack including 50 more puzzles. There is over 4,000 unique and original puzzles to choose from, keeping the challenge going for as long as you want. What I love about Sushidoku is the visuals. The challenge of the puzzle keeps your mind working while the beautiful sushi rolls treat your eyes, though they may taunt your stomach. With more than 600 different shapes there is never a repetitive pattern. There are plenty of puzzles to keep you busy and many more that can be purchased as you solve each new layout. Other add-ons are also available like additional scenes, a sushi randomizer, or buy easy, medium and hard puzzle packs in bulk which includes 800 puzzles instead of 50. These games are definitely crafted for sudoku users as there is no tutorial. You can find an About section with a How to Play explanation in the menu, but it is pretty lengthy and maybe confusing for beginners. If there was one thing I would like to see in the app it would be the addition of music. The app is completely silent. There is an option to turn on sound effects, though even when mine was toggled on, I heard no sounds while playing. 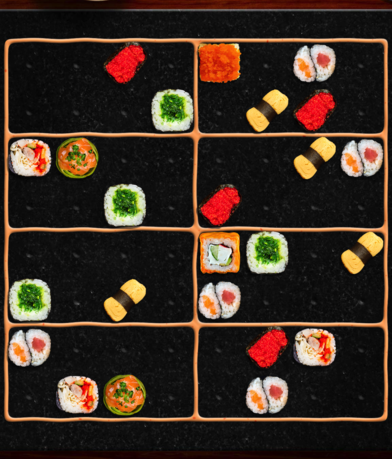 Overall, Sushidoku is a tasty fun puzzler enjoyable for all those that love a good challenge. The app is available in the App Store for free.